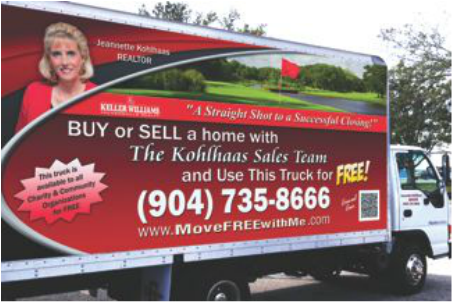 The Kohlhaas Sales Team offers EVERY client the use of our FREE Moving Truck for all Local Northern Virginia moves. Whether you are looking to buy, sell, rent, or invest in Real Estate- Call on the Kohlhaas Team to help you with everything from your home search needs all the way through to moving day! Jeannette Kohlhaas is one of the highest ranked professional realtors in Northern Virginia. Her in depth knowledge of how to properly plan, market, negotiate, and close a real estate transaction has kept her Referral business alive and well, with her clients. Honest and realistic, Jeannette believes that there is no home too big, or too small! We can help them ALL! You can always count on her for fabulous communication and expert advice! ﻿Ready to get started? Want the PRO herself to reach out to you? Click the button below, and let us know how we can connect with you!